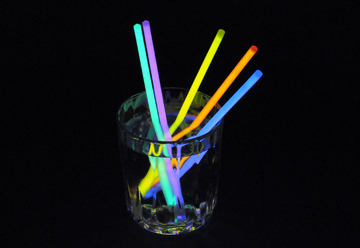 5" Superior Quality Glow Stir Sticks. 6 mm diameter. Double sealing to prevent leaking. 70 glow sticks in a protective tube, master case pack: 2100 pcs.